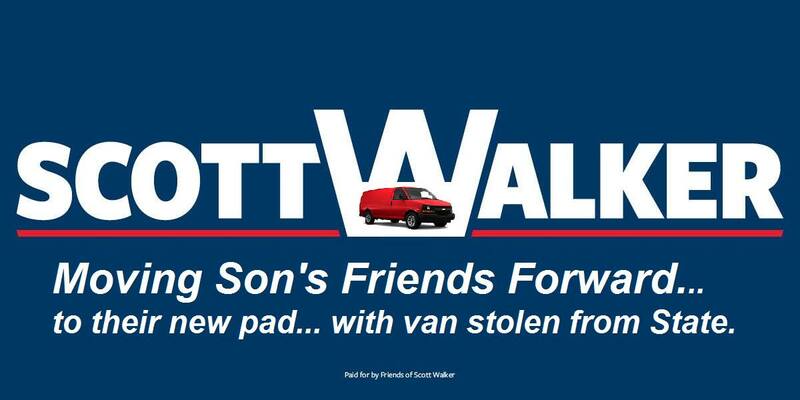 Alex Walker, 22 year old, college graduate son of Scott Walker was recently stopped for stealing a state owned van. 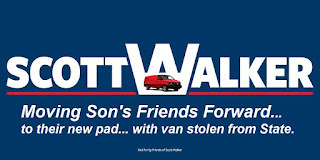 Alex Walker, soon to be a campaign aide to Sen. Leah Vukmir and the younger son of the governor, was caught earlier this year using a state van to move a friend in Madison. An officer for the Maple Bluff Police Department pulled over the vehicle on the afternoon of Aug. 18on Sherman Ave., about a mile from the Executive Residence. Alex, soon to be campaign aide for Leah Vukmir, who still lives with his parents on his taxpayer funded Mansion, and enjoys taxpayer funded healthcare (Thanks Obamacare), decided his last name gave him unlimited access to everything that the Wisconsin Taxpayers own. ALex, and a couple friends, decided to take the WI taxpayer owned van to help someone move without permission. Grand theft is the crime of unlawful taking of another's property or money over a statutorily defined value, as distinguished from petty (or petit) theft, in which the value is below the grand theft limit. Some states divide theft into the categories of felony and misdemeanor, rather than grand and petit.It is usually distinguished from embezzlement and false pretenses in that the actual taking of the property is accomplished unlawfully and without the victim's consent, and along with the taking there must be a carrying-off. It is also distinguished from burglary in that the theft does not necessarily involve unlawful breaking and entering. Alex Walker was pulled over a mile from the Governors Mansion( meeting the carrying-off standard), and it turns out he was not even driving. The police chief said there was video of the stop, but it was not immediately available. 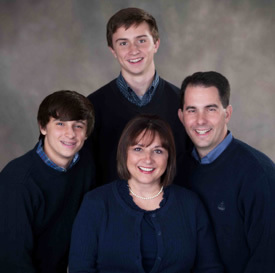 Apparently the WISGOP are all vampires and unable to be seen on film. Once this got out, the DOA was then forced to lay the hammer down. They charged Alex a whopping $25.08 and told him he probably should not do that again. The same DOA that estimated the damage to the Capitol, during the protests at more than $8,000,000, charged Alex Walker a whopping $25 for stealing a van. Alex Walker had no comment and no one in the WI Press corps had the guts to ask Scott Walker how he felt about Alex doing that or doing any research into how he ended up with the keys. Alex better say his prayers tonight, that he is not African American! DOA rules for fleet vehicles! You forgot an important part of this. After the "incident" executive residence staff had to attend training to review car pool procedures. Alex Walker took the van. No one else. Shouldn't he be the one forced to sit through training? I think it's interesting that they are thus admitting that staff gave him the keys. Who? Whoever gave him the key probably didn’t want to deal with the consequences of not giving the Governor’s son the key. Sure, the act itself is kind of innocuous and not a big deal. But isn't it telling that someone who was raised by an amoral grifter who has never worked a real job outside politics has an entitled kid who figures he can just take state vehicles for his own use whenever he wants. And Alex Walker is following in the "family business" of wingnut welfare GOP jobs. Are we surprised that the kid doesn't care much about right vs wrong? Aw c'mon, Jake. "Right" is for the little people! Wisconsin Radical Right Wing Rogue Republicans! What If Jesus Hired A Publicist?